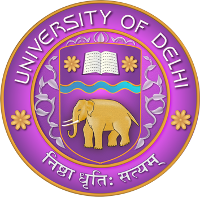 Department of Political Science, Delhi University (DU) invited applications for recruitment to 05 posts of Research Assistants, Office Assistants, SRF and Others. The candidates eligible for the post can apply in the prescribed format on or before 25 May 2017. Research Assistant : Applicants are required to hold Master's degree in any relevant social/ humanities discipline. Applicants should be enrolled in M. Phil/ PhD program in any social science/ humanities discipline from any affiliated university in India. Office Assistant : Applicants are required to have completed 12th Class from any recognized board in India. Senior Research Associate : Applicants are required to hold PhD degree in any social Science/ Humanities discipline. Research Associate (Honorary) : Applicants are required to hold Masters degree in any Social Science/ Humanities discipline. Should be enrolled in M. Phil/ Ph.D program in any Social Science/ Humanities discipline and holding a JRF fellowship of UGC. Interested candidates are advised to read the official notification carefully before applying for these posts. The selections for these posts will be based on the qualifications and Interviews. Only shortlisted candidates will be called for interview. Eligible candidates may send in their applications along with the certificates to the following email address : rp.icssr2017@gmail.com and the last date to submit duly filled application forms is 25 May 2017 (tentative). The forms can also be submitted by hand to Prof. Sanjeev Kumar H.M., Department of Political Science, University of Delhi-110007.